FREE delivery to United Kingdom in 12 - 19 weeks. With this collection, the desire is to reclaim the basics, to appreciate the beauty in details and respect tradition. 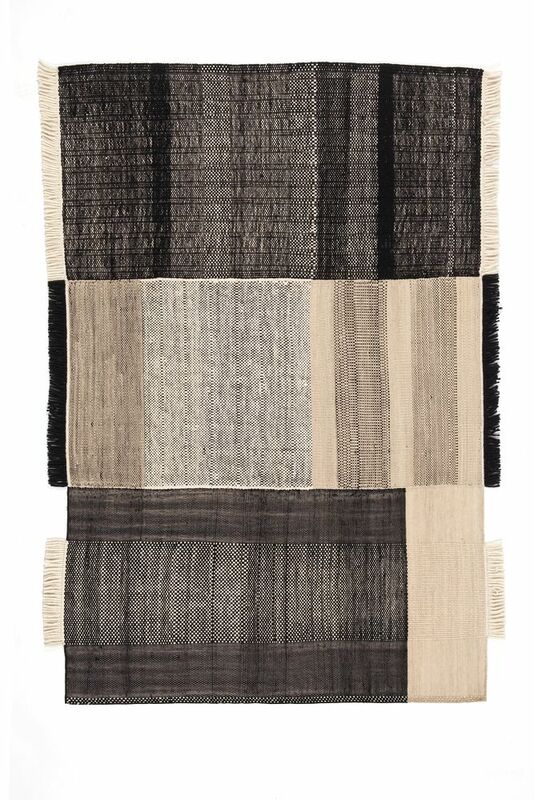 Tres is a traditional Indian flat-weave Dhurrie rug. Its unique quality lies in the production of three independent parts in which different fibres predominate. The proportion and combination of wool, felt, and cotton generate changes in tone and irregularities in the weave, bringing the pattern to life.